The newly released MacOS 10.13.4 not only adds support for external GPU but also adds business chat and a new security feature present in iOS 11.3. 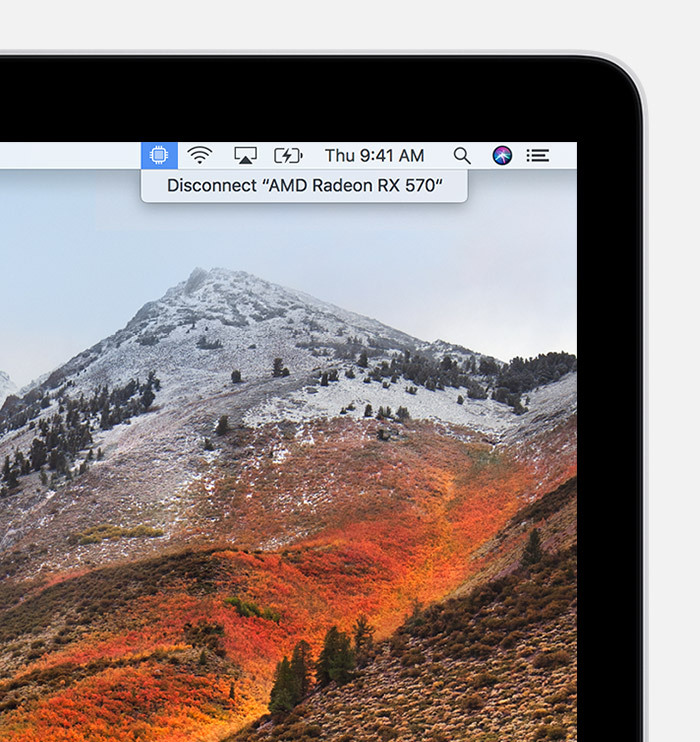 First announced by Apple in the WWDC held last year, Apple now works on that promise by bringing external GPU support to MacBooks with the improved MacOS 10.13.4 update. The upgradeable external GPU with the MacOS update increasingly solves most problems when it came to professionals using MacBooks. As MacBooks moved more towards the customer end of the table, professionals like video editors, 3-D modelers, VR Developers and the like were left with often mediocre and un-upgradable GPUs which was a major setback for these kinds of professionals. Another major disadvantage was that these professionals were stuck using 15 inch MacBook models and the 12 inch MacBooks and the 13 inch MacBook Pros still relied on an integrated graphics card. What’s great about the MacOS 10.13.4 update bringing external GPU support? For those professionals who are video editors, 3-D modelers and the like, this MacOS 10.13.4 update brings in the necessary horse power without compromising on battery life, form factor and while also keeping the price of the MacBook models low for non- professional users. What was the problem before MacOS 10.13.4 update? Prior to the MacOS 10.13.4 update, many professionals had to add graphics cards to their systems but even adding a high end graphics card to their system gave mediocre results. While the external graphics card gave the necessary horse power and was excellent for gaming, it still felt as an add- on as compared to a seamless feature of the MacBook. Apart from this, users also complained of glitches and bugs even in popular games like FinalCut. With the new Thunderbolt’s 40 Gbps transfer rate and some other Apple updates, Professional users can now enjoy better external GBU support than before. Although these transfer rates are not the best that is out there, they still are capable when it comes to most uses. This solution is better for those who do not want to move over to other powerful PCs like Linux or Windows. As of now Apple only supports AMD graphics cards so getting support for the industry leading graphics card- GTX 1080 TI for example would need hacking and some other methods if you are to get around to using it. This still leaves the RX Vega 64 and some other cards that could provide amazing graphic capabilities without any support. Besides not having support for non-AMD graphics cards and if you do decide to get one such card then you have to also think of getting a dedicated enclosure for it. The non- AMD graphics card as well as the enclosure for it are not going to come cheap and what makes it an even steeper buy is the fact that you would have already forked over quite a bit of money when it came to buying the MacBook in the first place.